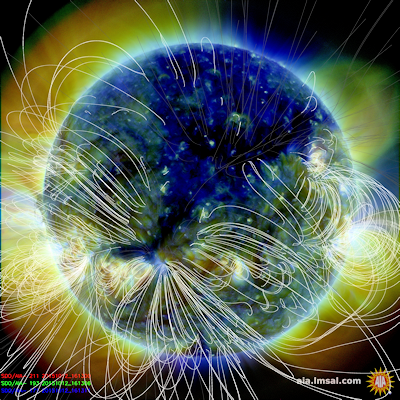 There's a Hole in The Sun – Geomagnetic Storms Imminent! Get ready for a light show. The sun’s about to spit charged particles our way. And that solar wind of protons and electrons will interact with the Earth’s magnetic field to light up the skies with a dazzling display of color through Wednesday. The solar wind coming out of a hole on the sun will almost certainly spark an aurora that may be seen by millions of people. The hole contains less material than other parts of the sun, allowing the wind to flow outward much faster than normal -- “more than two and a half times” faster, according to Robert Rutledge, a forecaster at the U.S. Space Weather Prediction Center in Boulder, Colorado.